In search of fun Human Body activities? 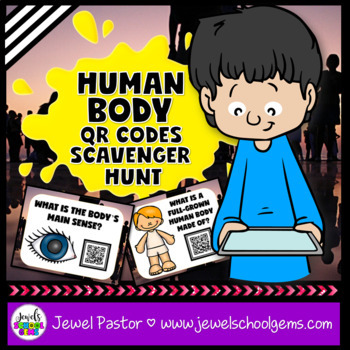 Engage your students with this fun Human Body QR Code Scavenger Hunt! 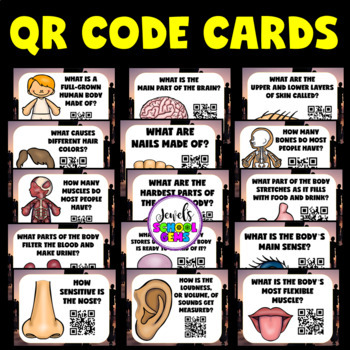 Print the 15 Human Body QR Code cards on card stock. 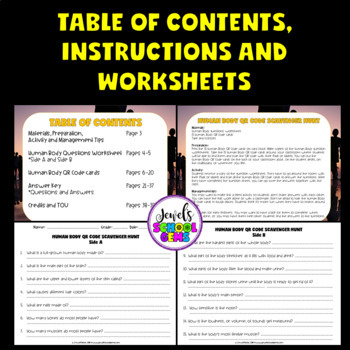 Make copies of the QR Code Cards questions worksheet (2-sided). Each student will need his or her own copy. Tape the 15 QR Code cards around your classroom where students will be able to find them and scan the QR code with their iPads or tablets. You can put the QR Code cards on the back of your classroom door, on the student desks, on the chalkboard, or wherever you like. 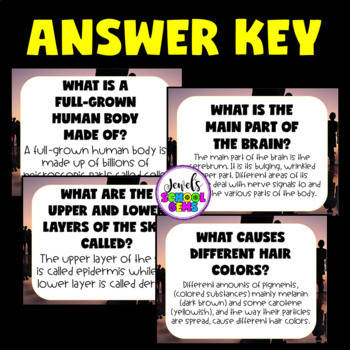 Students receive a copy of the Human Body question worksheet. They have to go around the room with their iPads or tablets and scan all the QR Code cards to answer the questions. After they have completed the question sheet, you can go over the answers together with the class. You may want to make this a silent activity so students don't share answers with each other. You can have the kids work alone or with a classmate. Don't be afraid to hide the Human Body QR Code cards in tough places. Students think it's more fun when they have to search around a little. Have a plan for early finishers. You may want to have a task for them to complete when they're done, or you may have them help other students find the answers to the Human Body questions. Please check out my other Science Resources. Thanks for your interest in one of my Human Body activities. Thanks for being a blessing!